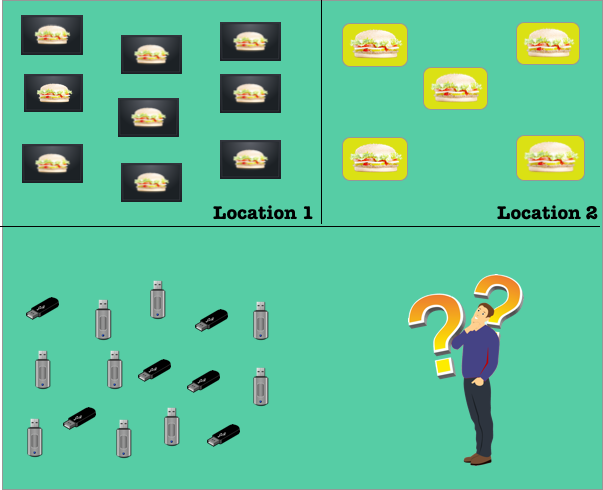 Does your restaurant have TV Displays, running Menus & other Info ? Do you Display the Menu(images,videos) using Flash drives ? Do you like to keep your Display Fresh with new Content ? Fed up off Manually updating each stick every time to reflect change ? Displaying Different menu during different times of the Day. Updating your displays manually by rewriting each flash drive every time can be time consuming. The more displays you have, more tedious it can get. Ideally you would like to control all your displays centrally and have Real time control over what is being displayed. It would also be really awesome if you could Schedule the Contents in advance !! So is there an alternative available without having to break the Bank ? Well if you are looking for an answer to the above question, it means you are looking for piSignage. piSignage is a Complete Digital Signage Solution platform with which you can build Your own Digital Signage Network. All the displays in your network can be controlled centrally from your PC , with an Intuitive Web U/I. 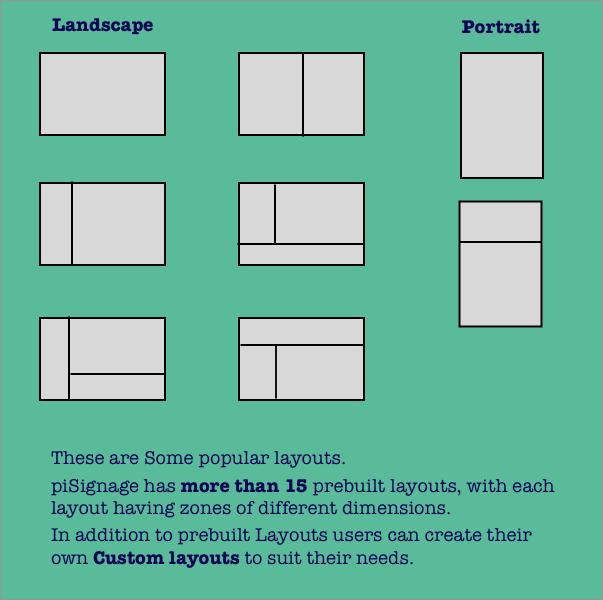 And the process is Very simple such that you can Create the entire setup yourself. You may have 10 displays. Yet all the displays can be updated in a couple of clicks. In addition you can advance schedule multiple playlists for different times. 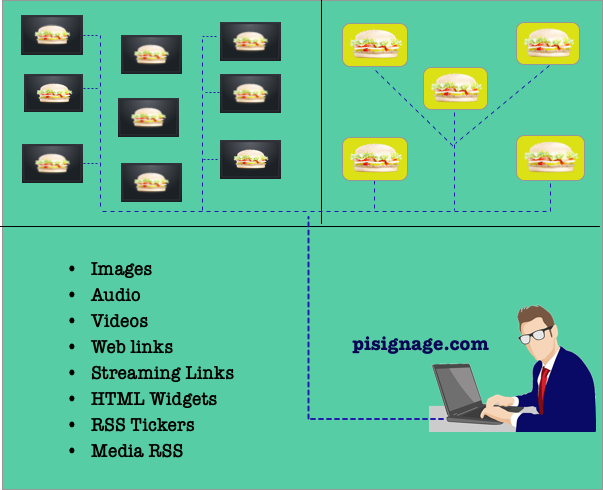 And unlike pendrives where you can display only images and videos , with piSignage you can additionally Display Web Links and Streaming Links,HTML Widgets, RSS Tickers etc. Do you need your displays to be divided into multiple Zones, with each Zone Show casing different Content. Well piSignage lets you do that too !!. So yes, all this is Definitely Ideal but what Does it Cost ? So the piSignage player is based on Off the Shelf Raspberry Pi, the 35$ revolutionary mini PC. Write an SD Card with piSignage player Software image, insert it into Raspberry Pi & your piSignage player is ready. less than 2$/month ( ie 20$/annum/player). Is it a good Deal? We Definitely think it is. Yet, Don't you think you should try it first for yourself before any commitments ? Off course you should !!. 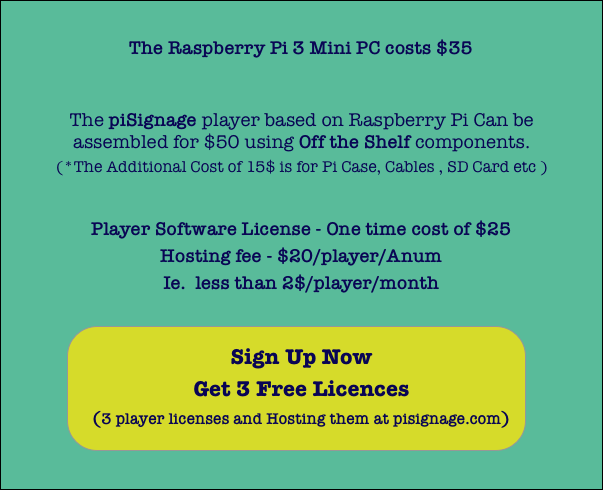 Therefore on Signing up at piSignage We give you 3 MANAGED LICENSES ( 3 player licences and free hosting subscription for them ) absolutely FREE !!. So you can Setup 3 displays and test piSignage for yourself for free. For any Assistance feel free to contact us.